A picture of an American buffalo on my computer screen caught my attention. His wide head was tilted down presenting his iconic short and black horns in what seemed a pose of defeat. 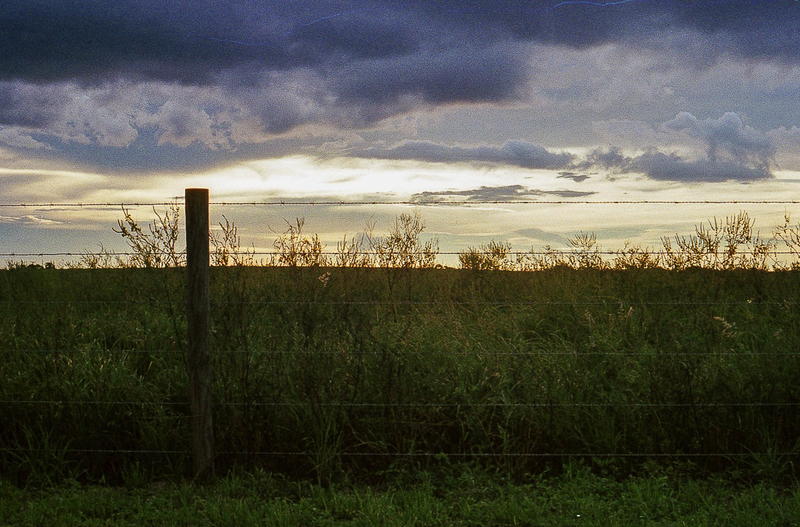 He looked helpless and alone behind barbed wire. He was out of place. Something about this buffalo peaked my interest. His demeanour was like that of many of the humans in my street photography, one of hopelessness and sadness. 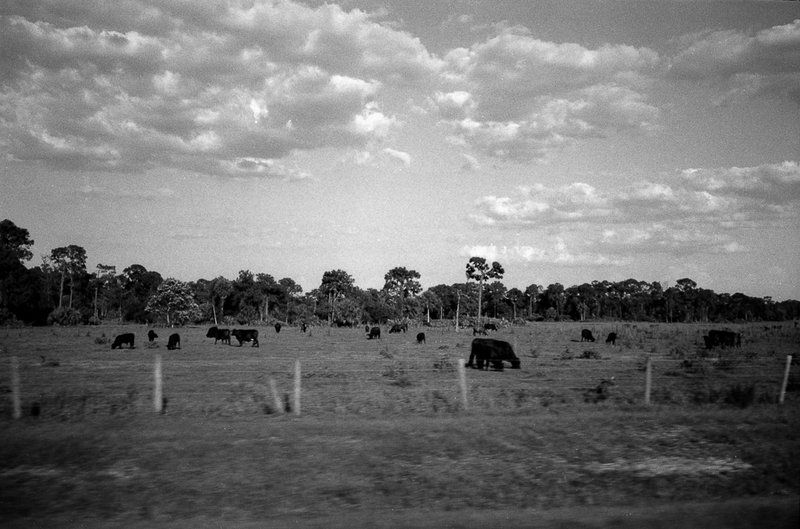 The location of the buffalo is interesting and unusual, located in the middle of nowhere Florida. American buffalo are not native to Florida. So why is he there? I had to go and see for myself. After contacting the person that took the picture, I discovered that this buffalo is located on the Cracker Trail, an old road that stretches from west coast to east coast of Florida. 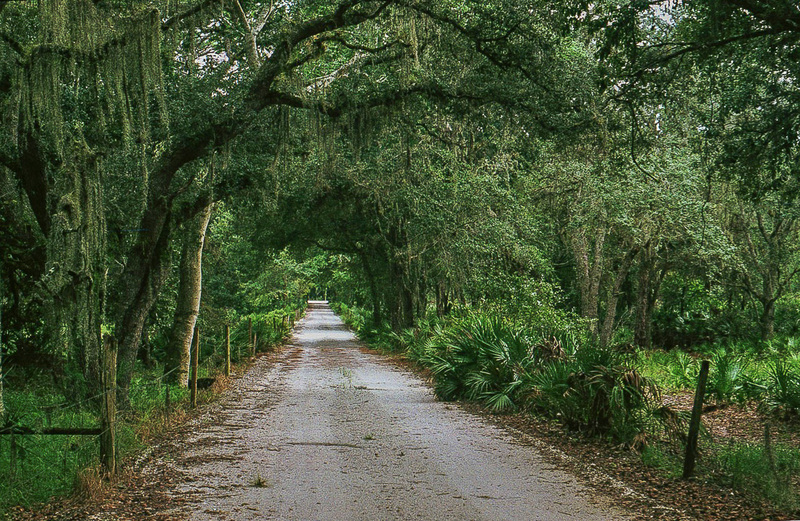 The Cracker Trail, now a modern roadway, dates back to the 18th century. It really started in the 1400’s as Spaniard explorers left behind cattle and horses. Generations later these animals would become wild and feral. 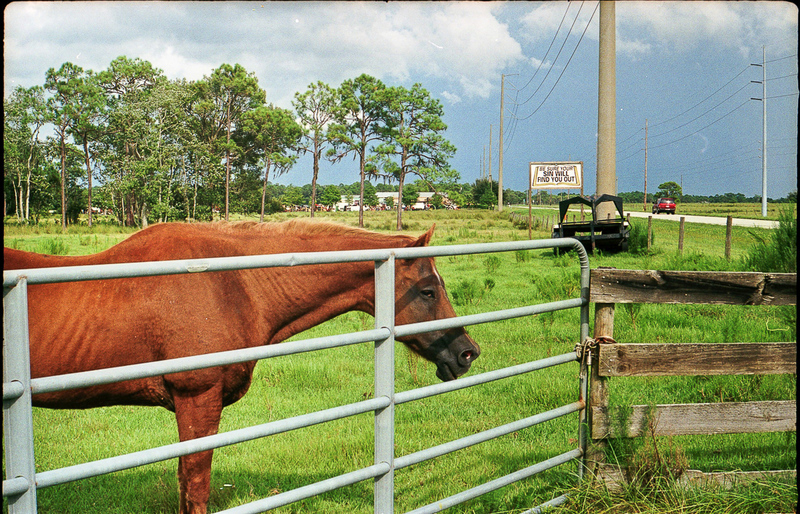 A group of rugged individuals willing to risk their lives in the inhospitable hot and humid climate of Florida settled the area and began raising these cattle and horses. Trading started on this road in the 1800’s. The main trade destination was to ship livestock to Cuba. The workers, on horses, would round up their livestock and begin the long voyage on the Cracker Trail leading with their whip. As they hurled their whip across the air and it would snap back with a loud crack, hence the name Cracker Trail. Locals at the time said the sound could be heard for miles as the cracking of the whip breaks the sound barrier. I began my voyage along the trail. My buffalo is on route 66 in Sebring, FL. This is about a three-hour drive from Miami. It is also central to the trail. Many thoughts about this buffalo rushed my mind but the excitement of seeing a buffalo in person was something I wanted to do since I was a child. This is an animal of myth and imagination mainly in Native American and old west tales. 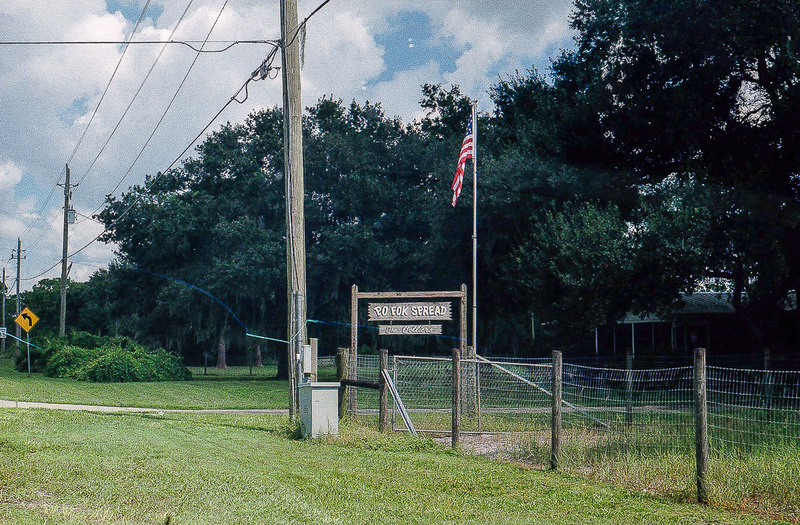 How did the buffalo end up here, alone in this area of central Florida? The Spaniards didn’t bring them. Then I recalled the Native America people and the Trail of Tears. The Natives forced from homes and their country as a result of the United States 1830 Indian removal act. This was an unfortunate event that resulted from many wars between the United States of America and the Native American tribes. Wars waged of brutal campaigns of savagery, theft, murder and pillage. The end result was the formation of tribal reservations. A reservation was assigned to each individual Native American tribe in various, usually unwanted lands. At the same time, the US waged a campaign to decimate the buffalo, almost killing off the entire breed. It is estimated that around 400 buffalo survived by 1893. The reason for this genocide; they were revered and respected by the Native Americans. Not only for food, hide, bones and sinews but as spiritual animals given by God. I surmised that my buffalo ended up here, in central Florida, as a relative of a displaced buffalo. Arriving at the exact location I was told my buffalo was, I did not see him. I continued further up the road. Nothing. I drove around the nearby suburbia. Nothing. A lot of cow and horse farms lining the trail. Animals probably related to the Spaniard explorers, but no buffalo. I pressed on, continuing west on the Cracker Trail to a town called Zolfo Springs. 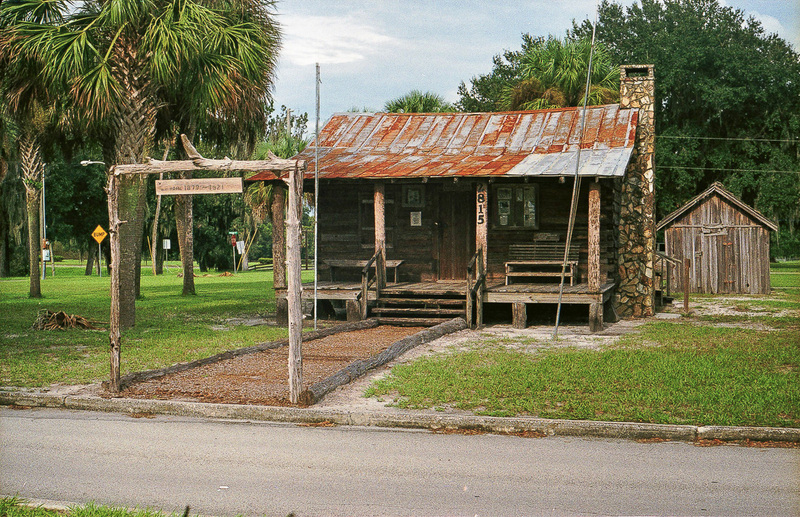 To my surprise there is a museum called Pioneer Park. As I drove into the state park, to my right was a small group of wooden buildings, replicas of the historic homestead of the 1800’s. I continued on to the State Park Office. Entering the office was like entering into a 1960’s America: no modern computers, paper everywhere, wooden shelves lined with fossil finds taken from the nearby Peace River. Sitting in an old wheeled office chair was a State parks official or ranger. Interesting fellow, tall and lanky, wearing a large brimmed hat and classic walrus moustache. I asked him about my buffalo. He didn’t know but showed interest. He did tell me there was an old buffalo that once lived along the road but he has not seen him in a while. He also told me about a moofalo farm near the Gulf of Mexico. They breed a buffalo and cow to create a hybrid, the moofalo. The ranger gave me some more leads as he allowed me to study some of his fossils. It was getting late. I had to turn back. Regretfully, I headed home only to imagine and ponder this solitary American buffalo. I will venture again in search of this elusive buffalo one day soon. Born in Brooklyn New York, Andrés LaBrada’s parents handed him a film SLR camera as a child beginning a lifelong journey in the medium. LaBrada studied at the University of Miami’s Motion Picture program graduating at the turn of the century. Whilst at film school he studied filmmaking abroad in the United Kingdom and Ireland at various motion picture locations. LaBrada went on to direct and produce productions featured at film festivals across the United States and United Kingdom. With his lifelong passion in Photography and years of working in the film medium, LaBrada now uses the techniques of filmmaking in his photography collection.